Keeping in view the good work being done in the field of prevention of blindness, the Society has been allotted by Delhi Development Authority a piece of land measuring 800 sq.mtr. in East Delhi for setting up “hospital of community ophthalmic Sciences” to fulfill the eye care needs of East Delhi specially weaker sections of the community. The Society has already constructed the building for an Eye Hospital at Karkardooma which will provide the eye health and eye treatment for the adjoining areas of East Delhi. Substantial progress has been done in the building. This Hospital would prove to be an excellent primary; tertiary and referral centre for all the ophthalmic related services and shall provide charitable & affordable services using modern health care facilities and inputs. The Centre would fill the gap of the much needed ophthalmic care in the area in and around East Delhi/UP Border particularly in various catchment areas of villages, slums and J.J Colonies inhabited by the poor and the destitute. The Hospital would provide modern facilities for Glaucoma, Retinal diseases, Corneal blindness etc. The O.T. 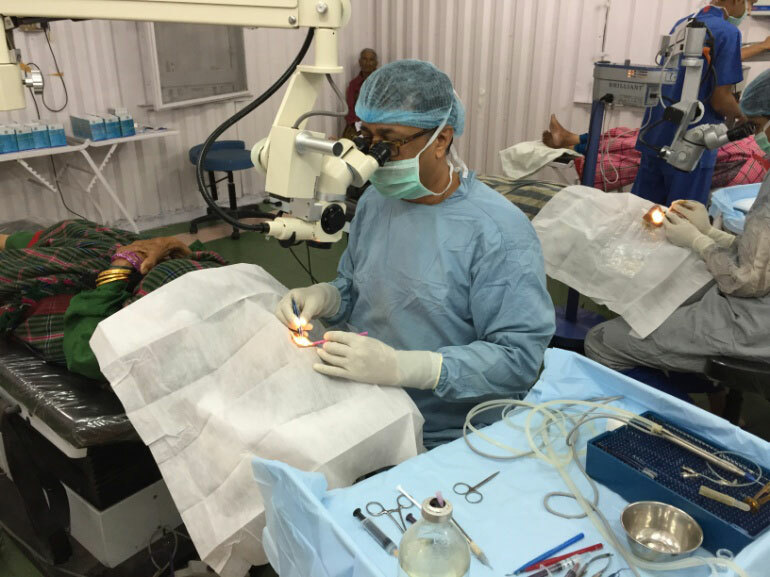 will be equipped with Operating Microscope, Phaco Machine, Vitreous machine and recent sterilization system. We are also now in the process of equipping the hospital with medical equipment and full fledged modern Operation Theatre. 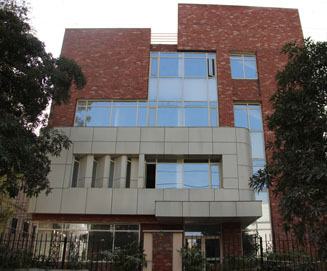 This eye care centre which was started on a donated house in Moti Nagar has been fully re-constructed as a modern eye hospital and has been functioning since August 1990. 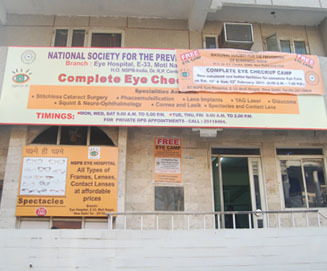 It provides eye care facilities for out door patients and has got operation theatre, indoor ward etc.for eye surgeries. It also provides Orthoptics facilities and has got optical glasses and spectacles counter also. NSPB Raison Eye Hospital is located on the banks of river Beas in the picturesque of Kullu-Manali Valley nestled in the Himalayas about 14 Kms. from Kullu. The medical facilities in the hill areas are usually under-developed and inadequate due to difficult terrain and other problems. One finds a major proportion of the illnesses in the lower socio-economic strata of community. Distances are difficult to cover and at many places motor able roads are also not available. 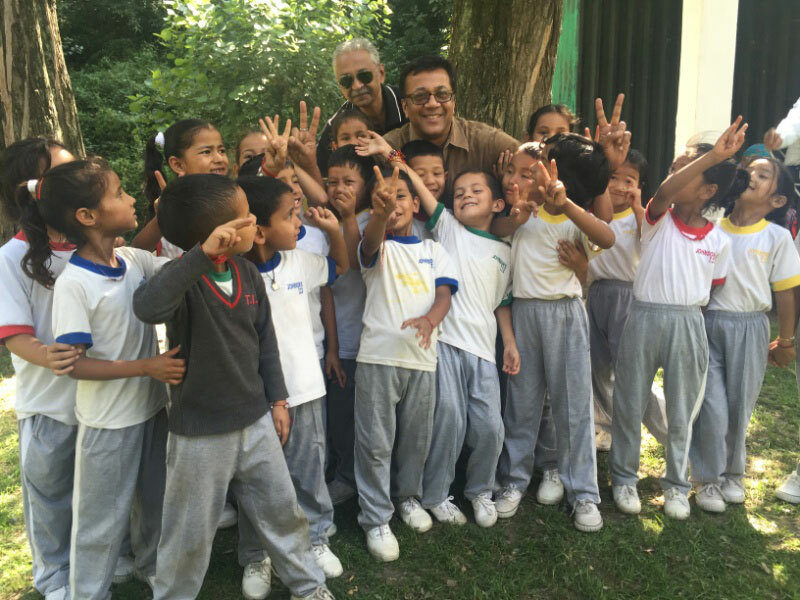 It is our endeavor to reach out to such places where the plight of the poor needs urgent attention. The Society has been running an Eye Hospital in Raison village since 1977. The hospital is an icon for delivery of eye care services in the region. The patients are provided indoor facilities in tune with their customs and practices. Over the years the hospital has served 88220+ patients, operated upon 13000+ cases, screened over 36,857+ school children, distributed 2263+ free spectacles and 12589+ refractions have been done. Many out-reach camps in the remote areas have been undertaken to serve more patients who cannot make it to the hospital. Raison Eye Hospital recently organized Free Mega Eye Camp in May. In this camp total OPD was 706 patients. Out of them 109 operations were performed. School eye screening was also done in Sept.2015 in one of the school in Raison. Eye examination of 216 school children and 20 staff members was done.